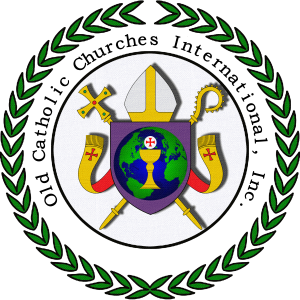 The Old Catholic Church International is a communion of Dioceses and Churches that span the globe. Divided into Dioceses, our communion provides for the spiritual well-being of those within its care. Led by Presiding Bishop Gregory W. Godsey, OSFoc, and the College of Bishops and Vicars, the communion is a dynamic force for unity within the Independent Catholic Community. It holds a diverse membership with Churches throughout the world. The Old Catholic Church International is 100% catholic, 100% progressive, 100% welcoming and 100% inclusive. Celebrating the Liberating Gospel of Christ Jesus, we reach out to the least, the lost and the forgotten. Whilst standing firmly on the traditions of Holy Mother Church and her time honored Catholic Teachings, we are a Church for our time and minister with compassion to the current needs found in our world today. Please view the drop-down menu and explore more about our Old Catholic Church International Family! Prayer without fervor has not sufficient strength to rise to heaven.